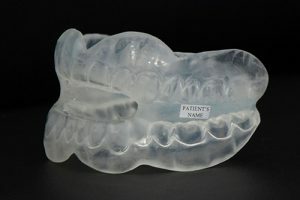 Gum shields, or mouth guards are recommended for all sporting activities where there is a likelihood of a blow to the face. This covers a wide range of sporting activities but most obviously marital arts, boxing and other equivalent activities. In addition gum shields are recommended for contact sports such as Rugby, Hockey, etc. Let’s be honest, it isn’t cheap to get a gum shield from your dentist, so should you bother? Well, any protection is better than no protection, so most dentists would prefer to see you wearing a shop-bought gum shield over nothing. But they are not the same. A shop bought gum shield will protect against a biting type injury (top teeth crashing into bottom teeth) to some extent, but not much else. 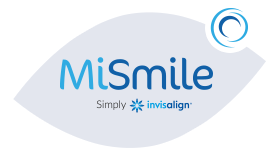 Although the fit is customizable, they do not fit that closely and only cover the teeth. When your dentist makes a gum shield, they will take an impression of your mouth that extends beyond your teeth and under the lips. When the gum shield is made, it will be made to tightly fit right up over the supporting tissues from a ridged material. 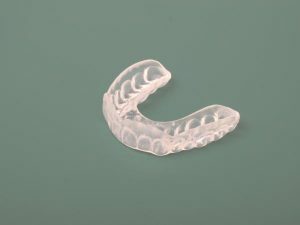 Ideally, for sports such as martial arts, where strong contact on the face is regular and expected (unlike rugby where it is accidental) a bi-maxillary gum shield should be worn. This is the type where both jaws are fitted and held in place, as professional boxers are often seen wearing. 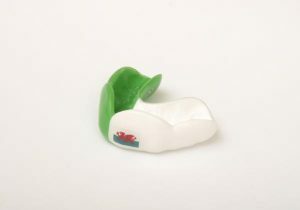 Gum shields are not available on the NHS in Wales, although a very few locations in England have been allowed to make a limited number of them on the NHS. They are made privately, costing around £50, but if cared for can last years. It is worth noting that most dental insurance, like Denplan, will exclude injury in high risk activity if a gum-shield was not worn!! We see numerous dental injuries from patients who play contact sports while not wearing a mouth guard, from small fractures, to completely knocked out teeth. The treatment to repair these injuries can be extensive and costly, and could easily have been prevented. An implant, when your tooth is knocked out will cost you about £2500!! Also worth noting… most insurances, including that provided through Denplan, will only cover you for facial injury when playing sport if you are wearing appropriate mouth protection at the time… and we, and they, can tell! Tooth grinding and clenching can cause many problems such as broken teeth, jaw pain, headaches, toothache and muscle pain. When teeth are ground from side to side, particularly during sleep, this can wear down the front teeth and the molar cusps can be chipped and damaged. Clenching also tenses the jaw muscles, which are some of the most powerful muscles in the human body. This repeated tension can cause severe pain and headaches. 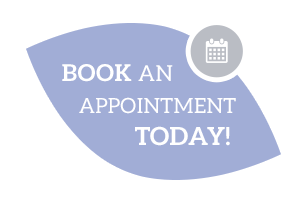 We are able to assess the jaw muscles and record how your teeth meet, to see if you would benefit from an occlusal splint. 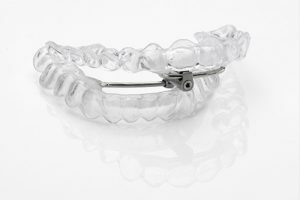 An occlusal splint is usually worn only at night. It is used to protect the teeth and prevent muscle tension, reducing or eliminating the source of pain completely. A life-changing treatment to stop snoring and obstructive sleep apnoea. Snoring is caused by the partial closure of your airway during sleep due to the relaxation of the muscles in your neck. The soft tissues then vibrate to cause the sound of snoring. We can assess you to see if you are considered to be a ‘simple snorer’ or are at risk of a condition known as ‘Obstuctive Sleep Apnoea (OSA).’ OSA involves snorers who actually stop breathing for a few seconds normally accompanied by a choke or gasp. Snoring and OSA can have an immense impact on the health and quality of life of the snorer and their family. It can cause relationship issues, daytime sleepiness, higher stress, lack of energy, increased blood pressure, cardiovascular disease and increased risk of diabetes. We can help by assessing the severity of the snoring and if appropriate provide a mandibular advancement splint.